We of Colonial Revelers are yet again pleased to present our music at some of the Delaware Valley's most historic venues. In this historic setting, Colonial Revelers will present concerts at 11:30 and 1:30. We'll stroll around singing the rest of the time. Newlin Mill is the oldest operating grist mill in Pennsylvania. It was built by Nathaniel Newlin in 1704, the third mill built on the site by the Newlin family, who had come to America in 1683. The mill was run by the Newlins until 1817, then by other owners through 1941. A descendent of the Newlin family bought it in 1958 and began restoring it to its 18th century appearance. Besides the mill, this living history site has two houses, an office, a barn and a grain storage building. For more information about the park, its history, and this event click here , email info@newlingristmill.org or call 610-459-2359. Colonial Revelers will present a concert at noon. Homemade soups, chili, funnel cake and other foods will be available for purchase. Come for lunch and music! In 1774, John Downing donated land for the Lionville Friends to build a school. Friends around "Downing's Town" were granted permission to meet at the school in 1784. In 1806, Jenu Roberts donated land for the building of a meetinghouse for Downingtown Friends. Colonial Revelers will sing throughout the evening at the historic ruins of Martin's Tavern. Friends of Martin's Tavern will provide hot cider, cookies and other food. The event involves the whole town, including all kinds of activities for kids, so park at the United Methodist Church at 1282 W. Strasburg Road and follow the signs. Martin's Tavern, also called Center House, was built in 1764. The inn played a prominent role during the Battle of Brandywine in 1777. Much of the original tavern was lost over the years, but the ruins were restored and form the centerpiece of Marshallton's public square (really more of a triangle). Click here for a look at last year's poster, which will give you an idea what to expect. For more information, contact West Bradford Township at 610-269-4174.
at Peace with your Neighbours..."
The Redcoats were headed for Philadelphia. On August 23rd, the British ships were sighted in the Chesapeake. They were coming from the southwest, from Maryland. While Washington arrayed his troops in an arc across Delaware, a panicky Continental Congress debated how they might make Philadelphia (and more to the point, themselves) safe. Therefore, on August 28th, they resolved to arrest prominent Quakers. What did the Quakers do to make Congress so afraid of them? Yes, many members of the Society of Friends had loyalist leanings, but then, so did quite a few other colonists at the time. The majority of Americans were against the war on some level, most simply wanting to be left alone. 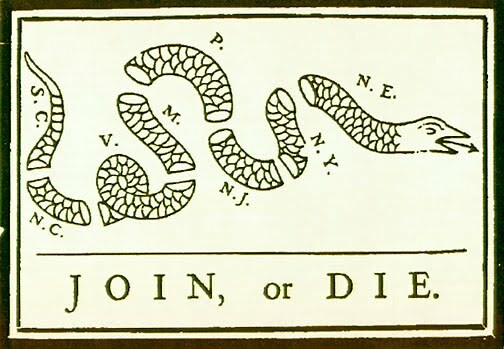 And loyalists in some colonies formed their own militias to fight against Washington. The Quakers, however, did literally nothing. Unlike other colonists, they couldn't be persuaded to donate or even sell food or blankets to the American army. They took their pacifism seriously, believing that if they gave supplies to soldiers who then went and killed human beings, the blood would be on their own hands. Friends caught disobeying this central belief could be shunned from their meetings. After some members left to form the Free Quakers, who did support and fight in the Revolution, traditional Friends' Meetings communicated with each other about the necessity to stand firm and not give in. be adjudged guilty of misprision of treason..."
The Supreme Council of Pennsylvania and, by extension, Congress, came to believe that the Quakers with any wealth would ride out to meet General Howe and give him support. Not understanding the Friends' religion, they couldn't fathom that the Quakers would never give aid to either side. So, on September 1, prominent Quaker men were arrested, placed under house arrest and all their papers plus a good percentage of their wealth seized. On September 4, the men were imprisoned at Masonic Hall (mainly because the Third Street Jail was already full). On September 11th (ironic, isn't it?) Washington's troops met General Howe's forces at Brandywine Creek, in what would be the largest clash of troops in the Revolution. That same day the Quaker prisoners were being transferred by wagon over 200 miles across what was still wilderness to Winchester, Virginia, where they would be kept until the following spring, when the British finally abandoned the Philadelphia area. Some of the prisoners were elderly. Most were wearing summer clothes when arrested, and were not given blankets and warmer clothing for weeks, even though the weather turned suddenly cold. One man died from the ordeal. This earlier 9-11 marked the day that Americans created their first internment camp. And the first time Americans persecuted a group of people for their religious beliefs. Might do well for us to remember this at our 9-11 observances this year. Music-wise, because of the Misprision of Treason act and others like it, you won't find Revolution era equivalents of "Blowin' in the Wind." Protest songs did exist, however, though they were mainly sung by folks in England, protesting a war that was draining their economy, or by women, lamenting that their husbands and sons were once more being called to arms. One such song, "Johnny Has Gone For A Soldier," can be heard on the Colonial Revelers' Revelry, Reflection & Revolution CD. To hear a sample of it, click here.